With Mayo Clinic GeneGuide™, unwrap your DNA this holiday! The holidays are nearly here, and gift-shopping season is in full swing. But even if you’ve already checked off everyone on your list, there still might be someone you’ve forgotten: you! 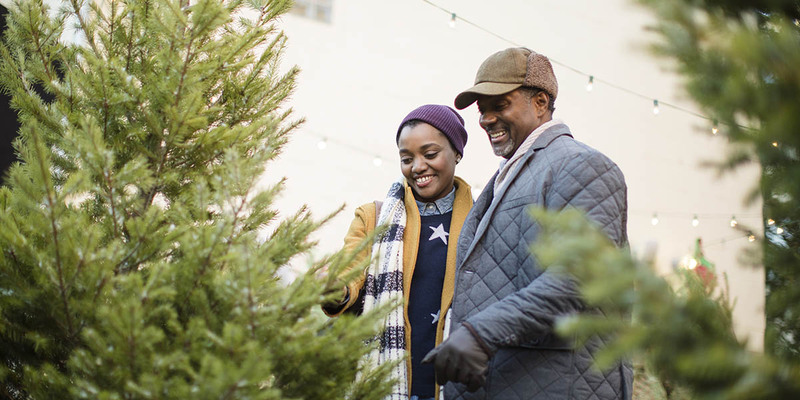 Getting ready for the holidays can take a lot out of anyone, which makes it a great opportunity to start focusing on your health (especially with New Year’s resolutions right around the corner). 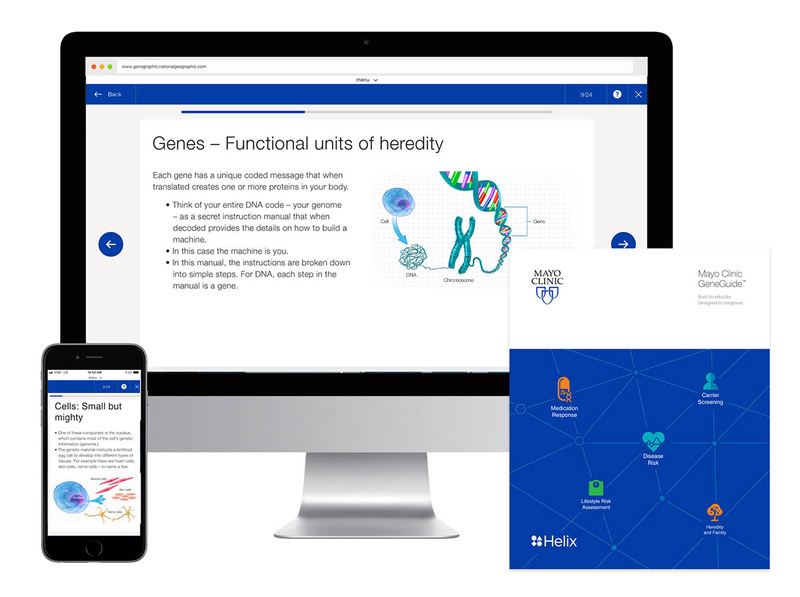 Mayo Clinic GeneGuide™ is a genetic testing experience powered by Helix that can help you start on that path, filled with educational tools that are designed to help you better understand certain health conditions and how your DNA can impact them. Mayo Clinic GeneGuide’s carrier screening results can help you better understand the risk of your children inheriting certain genetic conditions. It does this by analyzing whether you carry certain variants in your DNA that are known to cause specific diseases. As a carrier of these conditions, you are not affected with symptoms of the disease. But if your partner carries a disease variant in the same gene, there is an increased likelihood that your children could inherit both variants and therefore have the disorder. Often, diseases have both a genetic and an environmental component to their development. Mayo Clinic GeneGuide uses your DNA information to help you uncover certain diseases that you may be at an increased risk for, including coronary artery disease, atrial fibrillation, and more. Mayo Clinic GeneGuide™ is a genetic testing experience that helps you understand how genetics can affect your health. Many people are unaware that their genetic makeup can impact the way their bodies respond to certain medications. Mayo Clinic GeneGuide offers details on the connection between genetics and one’s response to medications, including ibuprofen and omeprazole, a common heartburn medication. You’ll also have an opportunity to learn about pseudocholinesterase deficiency and malignant hyperthermia, which can impact how your body responds to certain drugs used during surgical procedures. Mayo Clinic GeneGuide also offers a selection of general health traits like lactase persistence (which impacts lactose tolerance) and alcohol flush reaction, which can appear as facial redness following the consumption of alcohol. At the core of Mayo Clinic GeneGuide are tools and educational resources that help you better understand your risks, discover how your family history and lifestyle can impact your health, and learn what next steps you can take to manage these risks. And should you have any questions after receiving your results, genetic counselors from PWNHealth are available to speak with you. So go ahead, treat yourself just as well as you treat your loved ones—put Mayo Clinic GeneGuide™ under the tree with your name on it this holiday. You’ve earned it!